Supplementary material for the Colourstrings method. 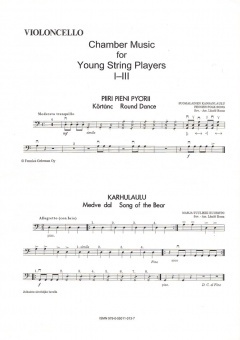 Easy arrangements for three violins and cello ad lib. in three collections, edited by Laszlo Rossa and Geza Szilvay. The first volume in this series of chamber music which provides a broad range of material for young musicians of all ages, from music play school to conservatory. The pieces can be performed as chamber music (quartet) without conductor, or by a full string orchestra. This book is currently out of stock. Due late 2016. The second volume in this series of chamber music which provides a broad range of material for young musicians of all ages, from music play school to conservatory. The pieces can be performed as chamber music (quartet) without conductor, or by a full string orchestra. The third volume in this series of chamber music which provides a broad range of material for young musicians of all ages, from music play school to conservatory. The pieces can be performed as chamber music (quartet) without conductor, or by a full string orchestra. This book is currently out of stock and is being prepared for digital publication. This book is currently out of print and out of stock but in the meantime we have made a photocopy version available for purchase. 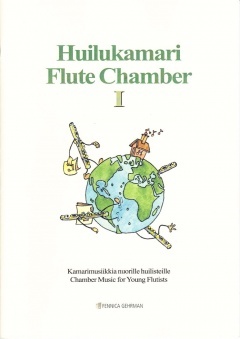 Chamber Music for Young Flutists.